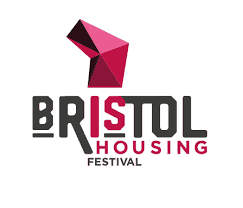 More than 6,000 people visited Bristol Housing Festival’s launch exhibition, the first event for the five-year festival. The free-exhibition ran from 19th October to 4th November and prompted visitors to re-imagine affordable housing solutions for the city. 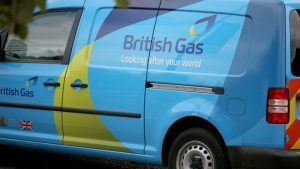 British Gas price rise unjustified, but energy price rises cant be avoided. The company, the UK’s largest energy supplier, said that 4.1 million of its customers would be affected. https://www.puredrive-energy.co.uk/wp-content/uploads/2019/01/Puredrive-Energy-Logo-New-300x138.png 0 0 Paul Collins https://www.puredrive-energy.co.uk/wp-content/uploads/2019/01/Puredrive-Energy-Logo-New-300x138.png Paul Collins2018-04-10 17:49:122018-09-10 08:11:29British Gas price rise unjustified, but energy price rises cant be avoided. 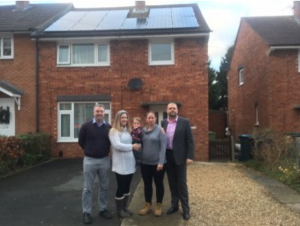 A scheme to help housing association tenants reduce their energy bills is being trialled in Brockworth. Severn Vale Housing has teamed up with energy storage company Puredrive Energy Ltd to provide their tenants with a free solar panel system with battery storage. Solar Storage First For Local Company. A local company has become one of the first to develop and market solar electricity battery storage systems. 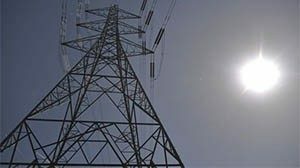 A “smart energy” revolution could help ensure that the UK does not suffer blackouts, according to National Grid’s new UK chief. Nicola Shaw, its executive director, said technological advances will reduce the need to build new conventional power stations in the UK. 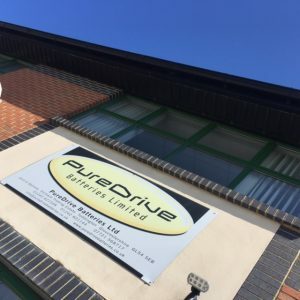 Puredrive Energy were pleased with the results of their Retrofit Pure Storage box installation, successfully reducing the electrical grid demand to an average of only 6%. This means that the PV in combination with the Pure Storage battery provides, on average, 94% of the energy demand. Stuart, MD and owner of Pure Drive Batteries, based in Gloucestershire was delighted with the performance far outreaching his expectations. Stuart is looking forward to reduced energy bills, protection against rising energy costs and some grid independence. Additionally, the Pure Storage system also powers critical loads, in case of grid power failure or interruptions. This will enable the business to continue operating critical computers and lighting. Electrical supply to Stuart’s offices and warehouse is 3 phase, demonstrating capability for both 3 phase and single phase systems. Off-Grid battery storage for Garden sheds. 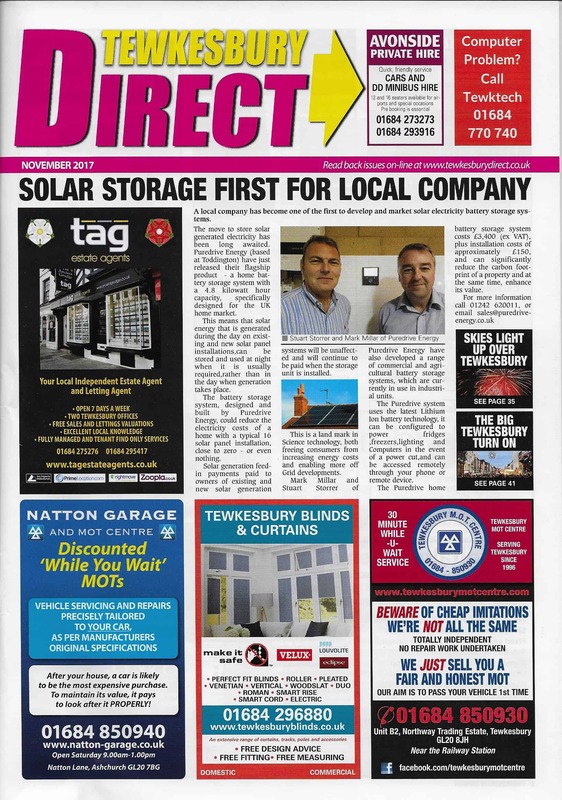 Puredrive Energy in co-operation with the UK’s largest shed manufacturers, are piloting Pure Drive Energy’s Off-grid battery storage systems. Pure Drive Energy have three models, for differing load demands, and provide independence from the grid and zero electrical costs. 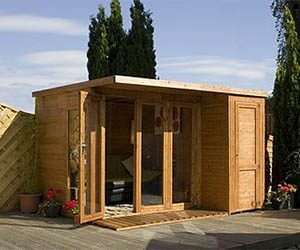 The request for power in garden buildings has become more popular over the last few years, the Pure Drive Energy Off-grid solutions provide solutions where planning permissions may be an issue and avoid costly and disruptive building works to supply electrical cables remotely. https://www.puredrive-energy.co.uk/wp-content/uploads/2019/01/Puredrive-Energy-Logo-New-300x138.png 0 0 Puredrive Energy https://www.puredrive-energy.co.uk/wp-content/uploads/2019/01/Puredrive-Energy-Logo-New-300x138.png Puredrive Energy2016-01-11 13:49:462018-09-10 08:12:34Off-Grid battery storage for Garden sheds.